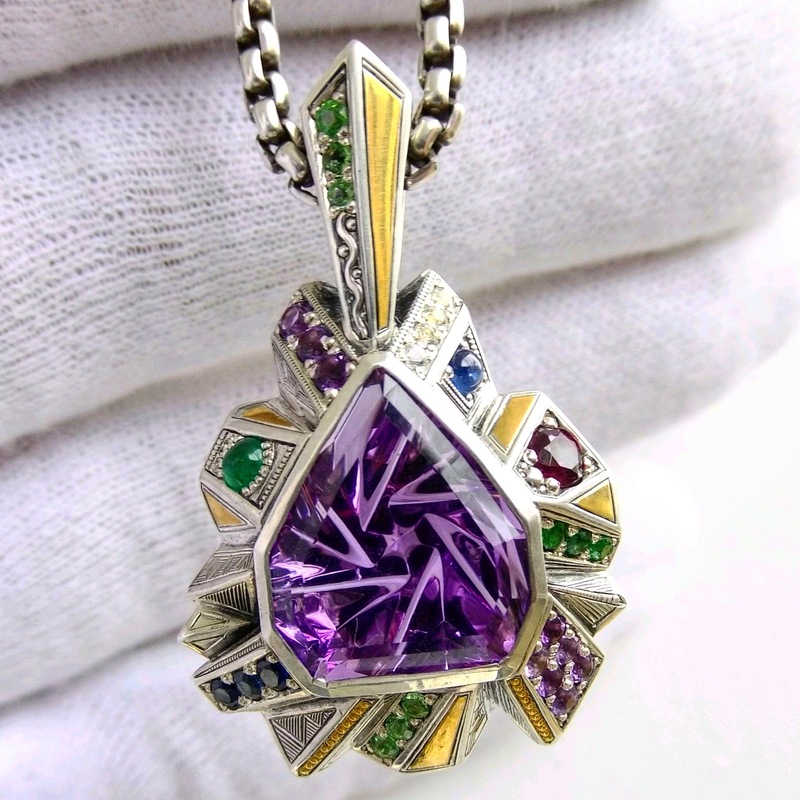 The second collaboration pendant between Ramstar X SER. 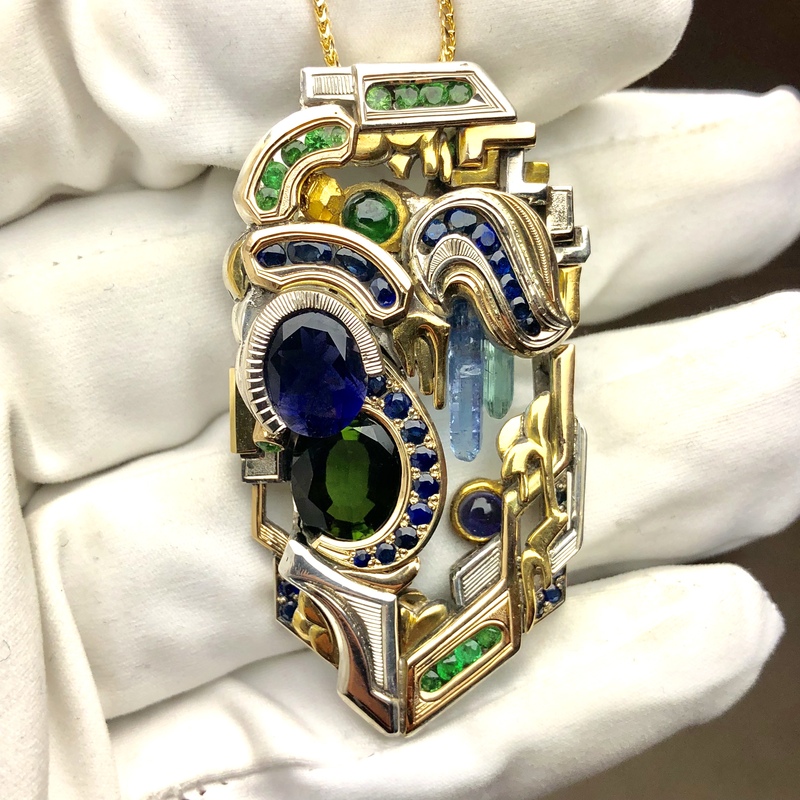 Featuring Jeremjevite, Iolite, Sapphires, Tsavorite Garnets, a natural Gold Crystal and Green Tourmaline. Set in Sterling Silver, 18k white gold, and 22/24k yellow gold.